164 Amazing Short, Medium & Long Stereo Delay Impulses! 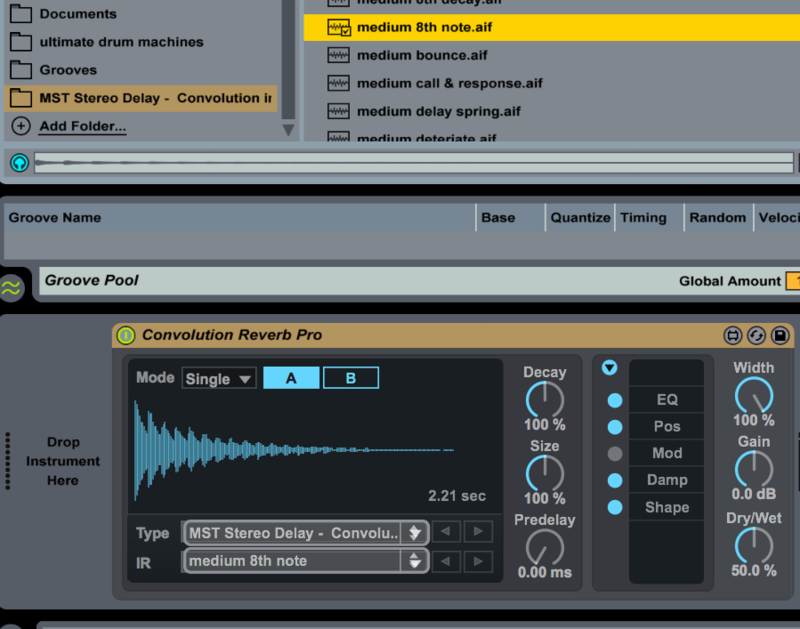 If you are looking for a way to give more life to your songs & sound design, look no further than Convolution impulses. Impulses are a music producer's secret to adding more depth to a song. This collection of fantastic unique stereo delays will give a completely new dimension to otherwise lifeless samples or synths. Every sound you run through the impulse changes the way the impulse sounds. If used on a return track, each sound you add it to will sound a bit different. Be careful, as this can get very addictive fast! 180 Amazing Short, Medium & Long Reverb Impulses! If you are looking for a way to give more life to your songs & sound design, look no further than Convolution impulses. Impulses are a music producer's secret to adding more depth to a song. This collection of fantastic unique reverbs which give a completely new dimension to otherwise lifeless samples or synths. Every sound you run through the impulse changes the way the impulse sounds. If used on a return track, each sound you add it to will sound a bit different. Be careful, as this can get very addictive fast! 44 Reverb Impulses from another world! If you are looking for a way to give more life to your songs & sound design, look no further than Convolution impulses. Impulses are a music producer's secret to adding more depth to a song. This collection of fantastic unique reverbs which give a completely new dimension to otherwise lifeless samples or synths. Every sound you run through the impulse changes the way the impulse sounds. If used on a return track, each sound you add it to will sound a bit different. Be careful, as this can get very addictive fast!